California’s insurance commissioner has launched an investigation into Aetna Inc. (NYSE: AET) over the dubious nature of some of its insurance claim denials. The investigation was sparked by the admission of a former medical director for the insurer under deposition that he never looked at patients’ records when deciding whether to approve or deny care. California Insurance Commissioner Dave Jones said a health insurer making decisions to deny coverage without a physician actually ever reviewing medical records is potentially a violation of the law. The deposition was part of a lawsuit filed against Aetna by a college student who suffers from a rare immune disorder. Gillen Washington, 23, said Aetna denied coverage for an infusion of intravenous immunoglobulin (IVIG) when he was 19. He got so sick he ended up in the hospital with a collapsed lung. Washington’s treating physician appealed on his behalf months before his hospitalization, saying that the treatment was medically necessary “to prevent acute and long-term problems.” Washington is suing for breach of contract and bad faith. 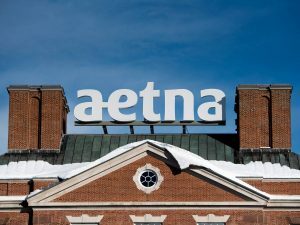 Aetna rejected the allegations, claiming that the reason the pre-authorization was denied was because Washington failed to comply with their requests for blood work. Dr. Jay Ken Iinuma served as medical director for Aetna for Southern California from March 2012 to February 2015. He said during the deposition that nurses reviewed records and made recommendations to him and that he had not reviewed any patients’ medical records personally during his tenure with the company. Iinuma said nearly all of his work was conducted online, with occasional phone calls to nurses for more details. Aetna defended Iinuma, saying in its legal brief that he was following Aetna’s Clinical Policy Bulletin appropriately. In its brief, Aetna said, “Aetna employs nurses to gather the medical records and coordinate with the offices of treating physicians, and Aetna employs doctors to make the actual coverage-related determinations.” As for the new investigation, the company said it looked forward to “explaining our clinical review process” to the commissioner. If it is determined that violations occurred, California’s insurance code sets monetary penalties for each individual violation. Aetna is the nation’s third-largest insurance provider, providing coverage to about 23.1 million customers. Californians who believe they may have been adversely affected by Aetna’s decisions are encouraged to contact the commissioner’s office.